Calling all Shopaholics! Join the movement. BUT for me and others of my kind out there – here is a solution! 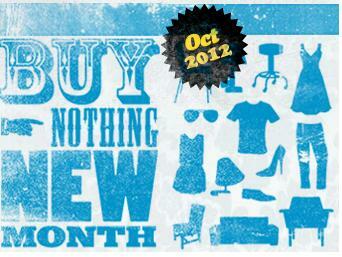 I’ve learnt through a friend of a campaign called “Buy Nothing New Month” which is a global movement in consumption. It’s a little idea that started in Melbourne and has reached the USA and the Netherlands. It encourages people to start thinking before buying, it’s not about going without something but instead taking a month off to start asking yourself; Do I really need this? Can I borrow this? Or can I get it second hand? So, aside from the very first day of October (where I had a little impulsive episode and bought an entire new outfit) I have since made a conscious effort to not buy anything new during October. I’m not going to lie – it’s hard. I don’t know what to do at work if I can’t do some online shopping here and there? And unfortunately I’m educated enough to know a bargain when I see one. But it’s a fantastic movement in which I’d love to support. Because really – do you ever stop to think where your old clothes and things might end up before you throw them out? Likewise, I told myself to consider our resources and landfills before purchasing that $200 dress from Kookai. My advice for the rest of the month: Move out of the department stores and check out the local op-shops and markets because not only is it good for our wallets but also our planet! This entry was posted in Learning Adventures and tagged Buy Nothing New Month, Consumption, Country Road, Forever New, Movement, Op-Shop, Shopaholic, Shopping. Bookmark the permalink. ← Retail Customer Service – Good or Bad?